Tron is definitely NOT a Christmas movie. They should release it late summer when it's not up against competition. Green Hornet is its only competition and I don't think that will be any competition. And even if it is? Yeah but with a $300 million dollar budget Disney may be overestimating Tron's franchiseability. Tron tanked at the box office in '82 and even though it has developed a cult following, it's unlikely it will generate the kind of revenue needed to earn its production costs. This could be another Terminator Salvation. Disney is taking a big gamble on Tron Legacy. The effects indeed look impressive but will it be enough to draw the crowds into the theaters over the holidays? Regardless, I'm very excited that we are getting it but if it's a failure, heads will roll at Disney. It's not a 300 million movie, but the budget is closer to being under 200 million. Not that that's a small budget, of course. But I think the following has moved beyond the cult status. You'd be surprised at the number of people I've talked to that happen to be looking forward to this that have never seen the original. What's golden master? Sounds like a kung fu movie. A Golden Master is a term used in the video game industry when a game is finalized and ready to be sent out for mass replication. That Honor is clever with his titles, ain't he? Honor Hunter should write fortune cookies with such wisdumb. Disney must think the boys will snub Brave. 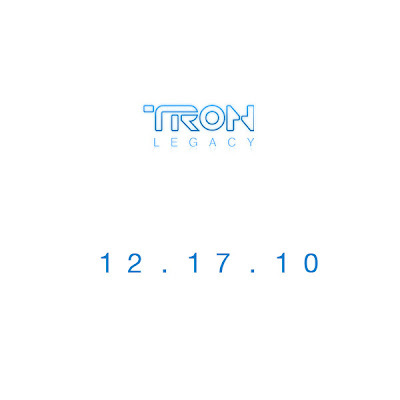 Only logical explanation for a Tron holiday release. Tron is cool!! I've seen it already and its awesome!! It's going to be shown in full at D23!! There is already a sequel in development and a ride for Disneyland Tomorrowland!! Gonna be so cool!! I can't wait!! Tron 2 probably could've been released a month before. Nothing comes then THAT important, and The Voyage of the Dawn Treader, one of the most popular Narnia books, will probably wallop the #1 spot twice if it's lucky enough. Narnia 3, I think, is gonna give Tron a run for its money. I agree that a Narnia film with a holiday season release will probably give this at least some competition. Also, unless I'm mistaken this is being released the same weekend as The Smurfs and Yogi Bear, both of which are live action/CGI blends in the vein of Alvin and the Chipmunks. Now, one look at the directors involved will tell you that both of those movies are going to be utter crap, but that doesn't mean they won't make gobs of money. I mean talking CGI animals? Holiday season? Look at Alvin or Beverly Hills Chihuahua. They might not be competion for the geek market, but they will most definitely be competion for the family market, which is where the majority of the money is.